Turnkey marketing campaigns to fill your pipeline quickly! No Annual Fees, Desk Fees, or Hidden Fees. 100% Commission! About Us: As the 100% commission real estate brokerage of choice in California, United Realty Group offers industry leading 100% Commission California Real Estate plans, 24/7 broker support, leads, training, websites, MLS/AOR access throughout the state, and much more! Some Realtors believe that by joining a 100% Commission real estate brokerage, the agent keeps 100% commission at the expense of other benefits and services. At United Realty Group, we pride ourselves on being able to deliver some of the most competitive California 100% real estate commission splits in the industry, without sacrificing the quality or quantity of the benefits and services we provide. There are several reasons we have been able to successfully implement our 100% commission business model: Our staff is hand selected from among the finest our industry has to offer; comprised of experienced brokers, escrow officers, transaction coordinators, short sale negotiators, appraisers, home inspectors, and real estate mentors, the members of our management team are true professionals in their area of expertise. We have made full use of the technology available in today's marketplace, utilizing cutting edge systems and software to apply a very streamlined approach to our transaction process. 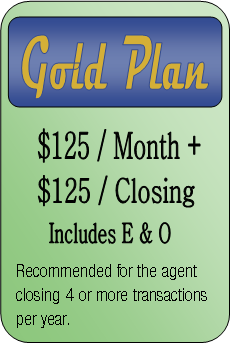 This allows our staff to focus their attention on the needs of our agents, and allows our agents to keep 100% Commission while doing what they do best...selling real estate! The result is a company environment that is efficient, productive, and maintains a support system that is second to none. 100% Commission Real Estate California: If you are considering a 100% commission real estate broker, California is the place to be! We offer our 100% real estate commission splits to licensed salespersons and brokers throughout the state. 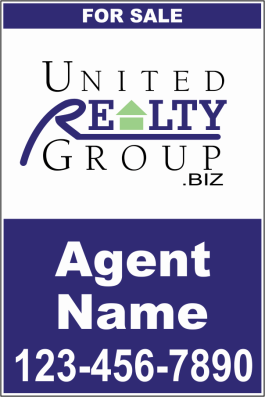 Whether you are a new agent searching for an innovative brokerage where you can learn the industry, or an experienced and high producing agent tired of watching a large portion of your hard earned dollars going to a "big name" brokerage, United Realty Group is the 100% Commission brokerage for you! 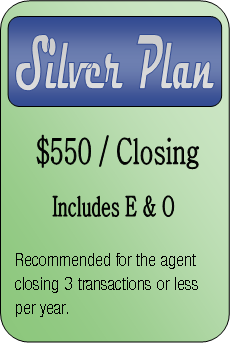 We are currently seeking 100% commission agents in San Diego, Los Angeles, Long Beach, Orange County, Riverside, San Bernardino, San Francisco, San Jose, Santa Clara, Oakland, Marin, Sacramento, Stockton, Bakersfield, Alameda, Fresno, Imperial, Merced, Monterey, Napa, San Joaquin, San Luis Obispo, San Mateo, Santa Barbara, Santa Cruz, Sonoma, Ventura, and the rest of California. Join us today and see what this 100% Commission real estate brokerage can do for you! To start earning 100% Commission today, click below to Join Our Team!